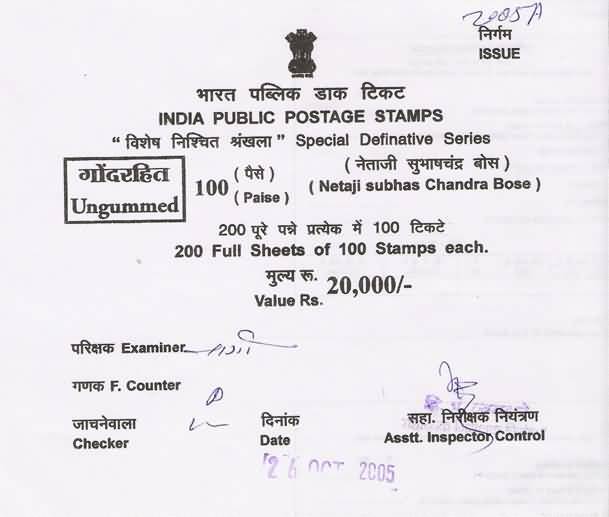 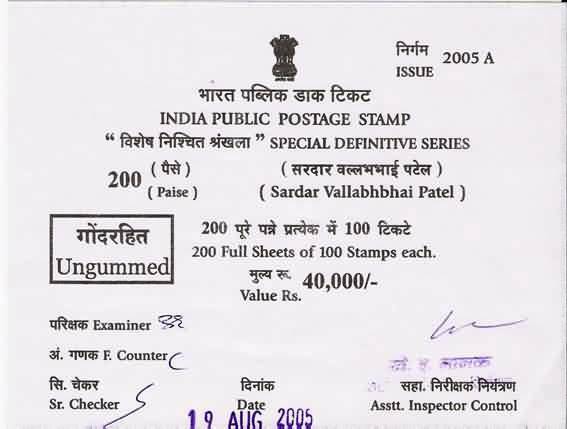 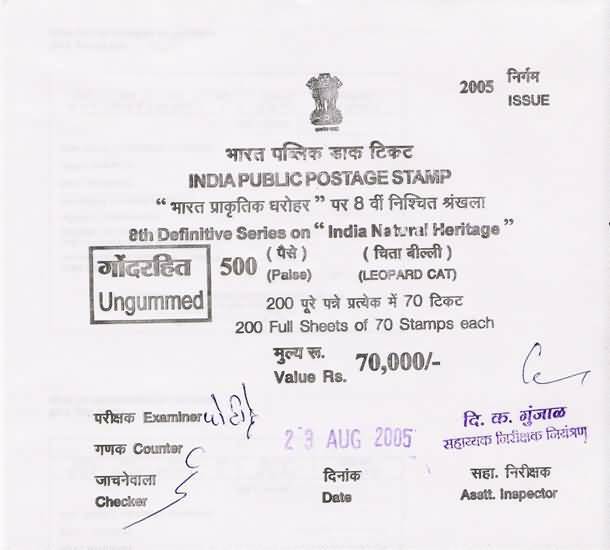 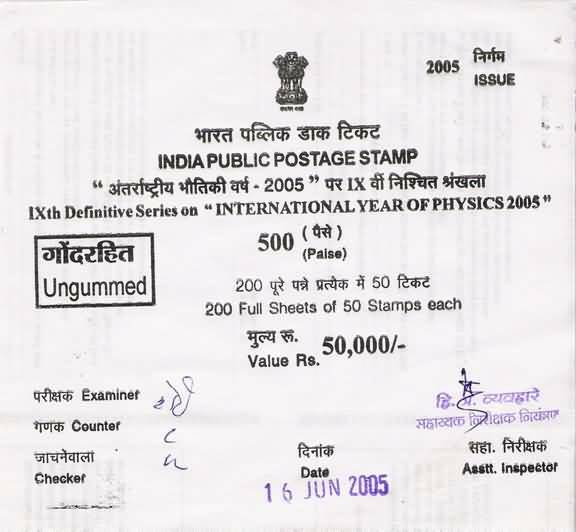 India Security Press Nashik normally supplies all stamps, definitive as well as commemorative, and miniature sheets in the packing of 200 sheets. 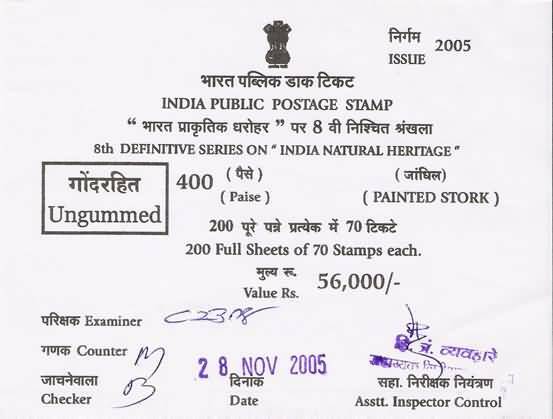 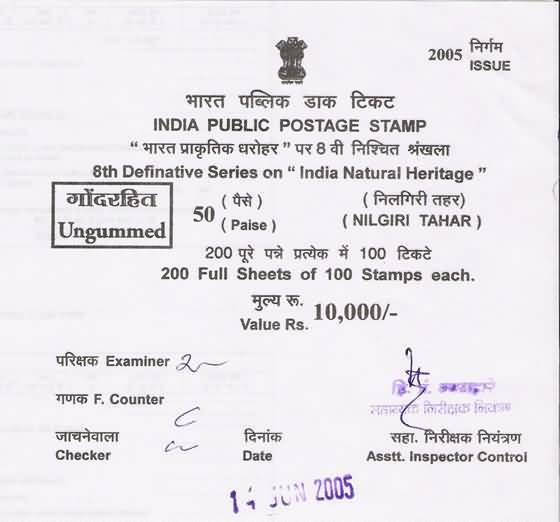 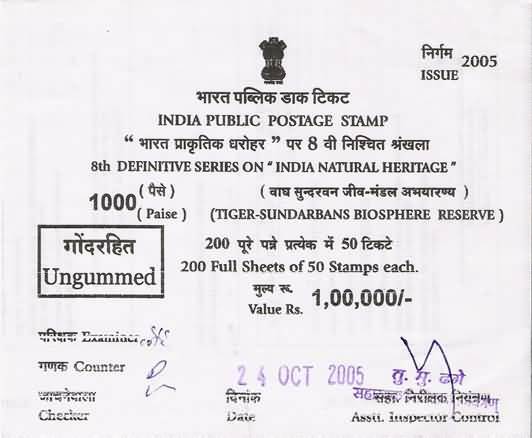 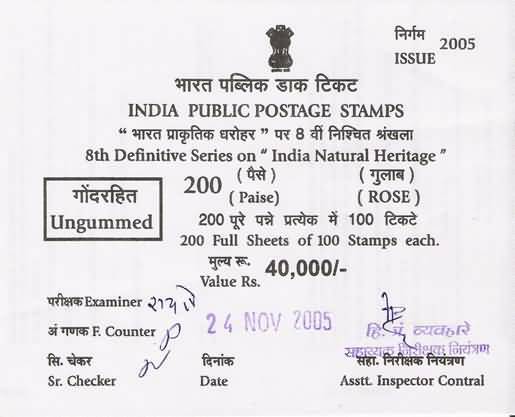 Since March 2005 definitive stamps have been issued ungummed and this is stated on the labels. 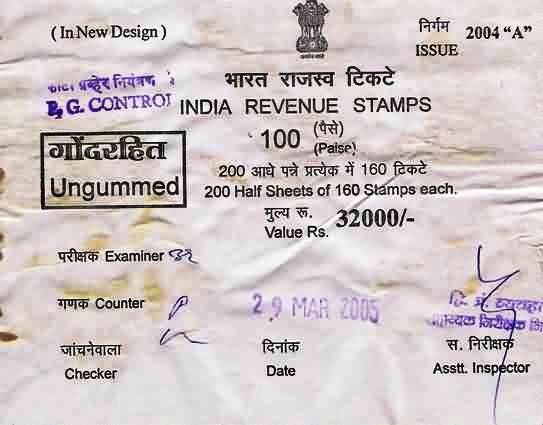 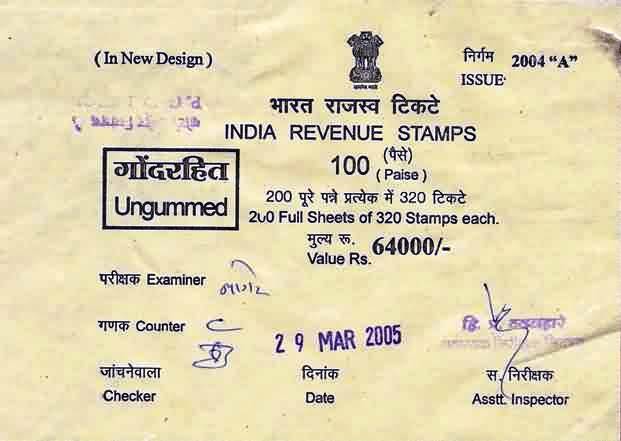 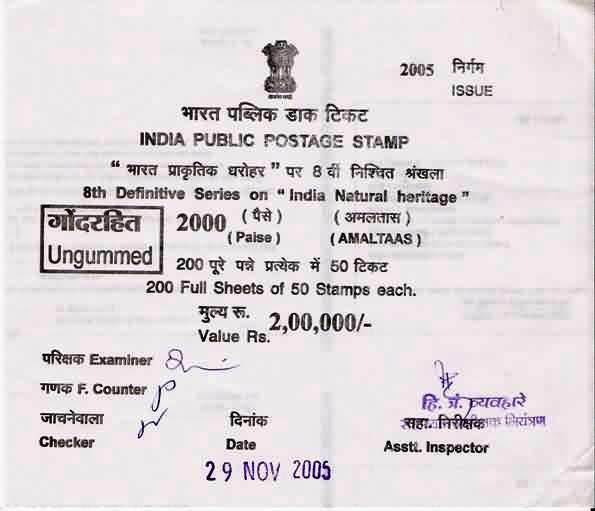 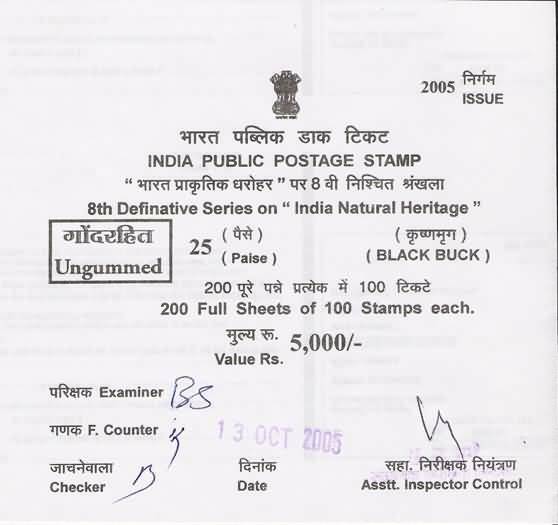 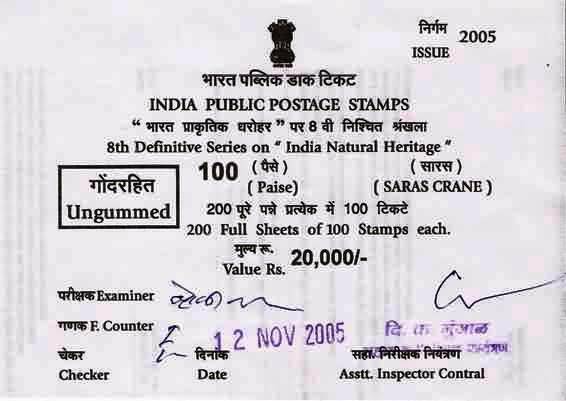 The Revenue (Receipt) Stamps have been issued ungummed at least since 2004!